Here at GetVoIP, we are always looking for the latest announcements and product offerings to hit the shelves, whether that be in Business VoIP solutions, Unified Communications or just the bigger umbrella of Business Communication tools overall. All of these are very interesting markets; one constantly filled with innovations. Year after year we see these technologies grow, and new products make their way onto the market. 2017, of course, was no different. We saw some amazing advancements in AI, entire new chat platforms hit the market, giants like Cisco, Google and Microsoft revolutionizing the way teams collaborate, some really interesting new innovations come to market from brands like Nextiva and Vonage, and an entirely new Contact Center contender from Amazon. Now, we always try to keep our readers updated with the most important news and announcements, but with so much happening so fast it can be difficult to keep track of it all. So, with the year coming to a close, we wanted to take some time to reflect on what we felt were some of the most innovative cloud communication products to make their debut in the past 12 months. Of course, this is by no means a complete and extensive list of all VoIP and UC products and announcements that hit the headlines in 2017, not at all. That would be far too long for almost anyone to read. 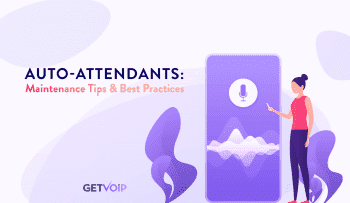 However, instead, we wanted to really hone in on what we at GetVoIP felt were not only the biggest, but even the most disruptive and innovative announcements. We don’t necessarily have these listed in any particular order. Instead, we wanted to share with our readers a solid round up of innovations that show how drastically these technologies evolved over the last year, and even possibly offer a slight glimpse into what the future might hold. A number of the announcements we are focusing on include new technologies like Artificial Intelligence, or new ways to collaborate like the massive digital whiteboards that hit the market. This to us highlights the potential for the future, and we really are only beginning to scratch the surface of what these technologies can make possible. 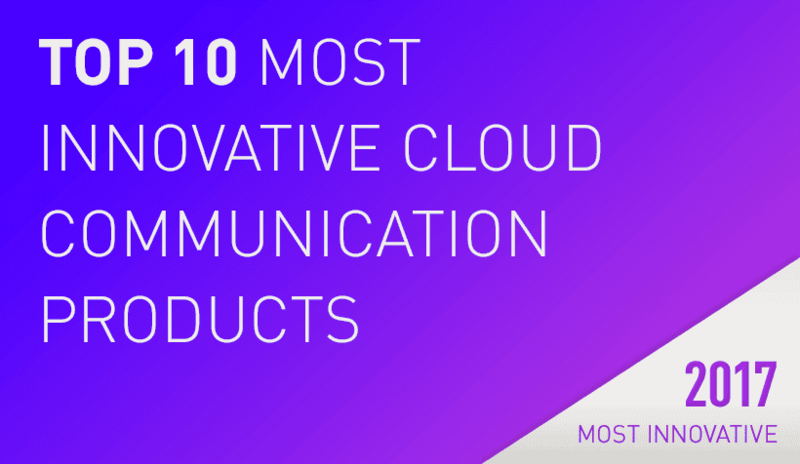 So, let’s take a look at our picks for the top 10 most innovative Cloud Communication product announcements of 2017. NextOS is an interesting step forward for business communications and customer experiences. 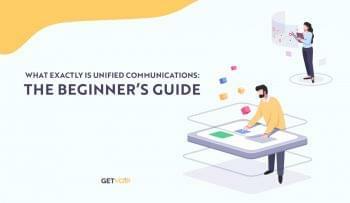 Essentially, NextOS will act as one major platform for a business to manage all of their users, features, billing and even internal communications — everything related to communications and their VoIP service will be handled in one simplified application. This would be in contrast to the current method of a silo’d CRM, a silo’d VoIP solution, a silo’d analytics platform, a silo’d internal communications platform, and so-on. 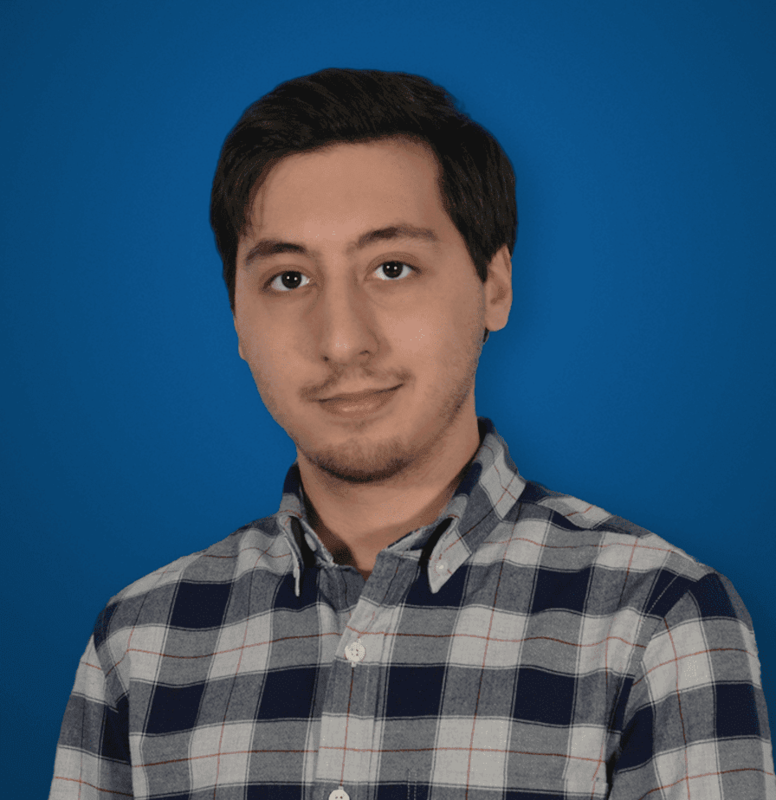 Oh, and NextOS even has Artificial Intelligence baked right in, Natural Language Processing and Machine Learning to help automate tasks and organized important information. NextOS simplifies everything your business needs to improve productivity, all in one place, from one provider. Only a few short months after filing Ch 11, Avaya went ahead and expanded their cloud-based Zang platform by introducing an entirely new Unified Communications app, called Zang Spaces. 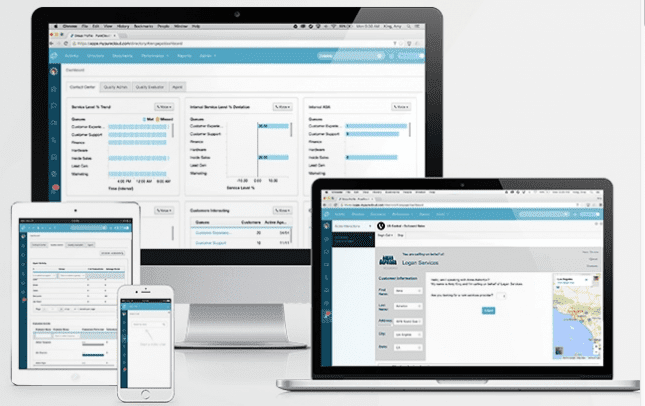 Zang specifically represents an SMB focused deployment, but with robust and complicated features at an easier to swallow price point. Zang is 100% cloud based, and Spaces introduces a team collaboration and messaging tool with persistent chat, voice, video, task management and file sharing. Overall, Zang is an interesting move by Avaya to break into the lower SMB market, while still offering a complete and integrated solution with all the bells and whistles a business would need. Leveraging their Nexmo platform, Vonage went ahead and introduced an entirely new way of automating contacts with customers and clients. 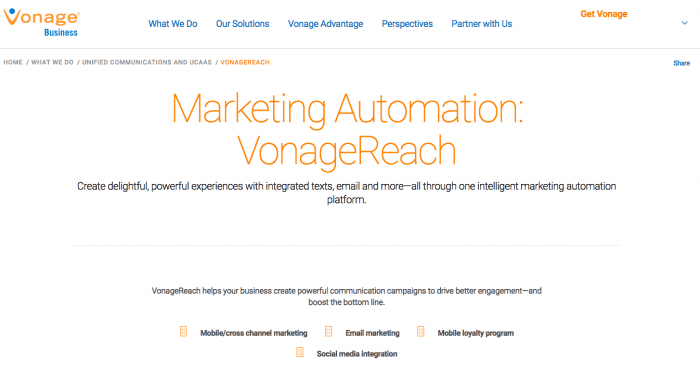 VonageReach allows your business to develop automated, customized drip campaigns to send personalized messages at every stage of the sales cycle via text, email, voice or social media. In their announcement, Vonage wrote that “64% of customers prefer texting for customer service,” something I’ve definitely noted before. So VonageReach is doing exactly that, reaching customers where they prefer to have interactions with businesses. The whole solution leverages your existing CRM data to re-engage customers. This could be as simple as sending a follow up text asking a customer how their experience is going. 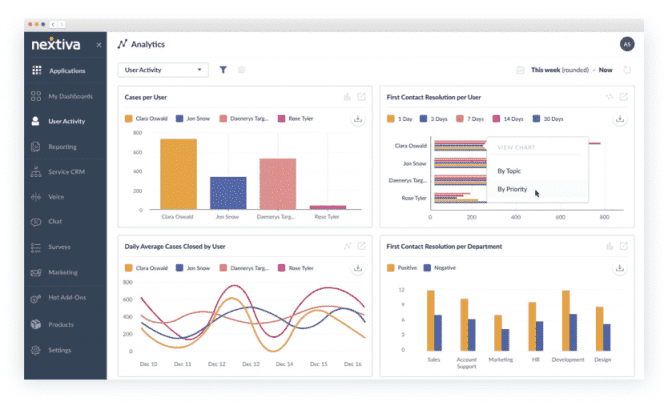 With their new solution, Talkdesk is focusing on real-time context, in order to remove the customer context blind spot. They want to empower agents with all the relevant information they need to help a customer, and help a customer as soon as possible. Instead of having to explain who we are, what we’re doing, and what are problem is, what if the agent already knew all of that? 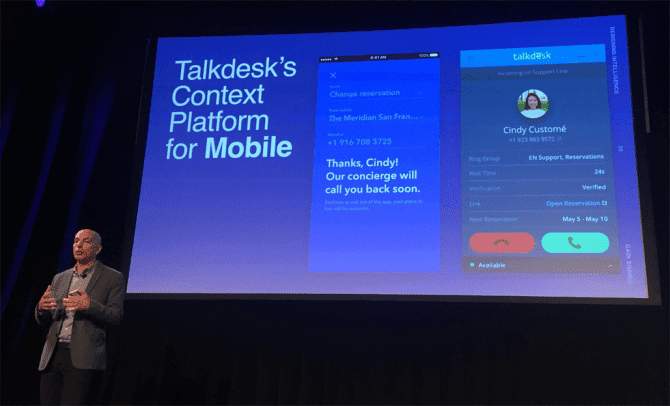 Talkdesk recognized that both mobile and web devices collect so much information that is currently going unused in the customer experience, and they wanted to empower businesses to utilize that data. To do this, the provider created a solution that utilizes this context, specifically mobile context. Customers access your company’s app or website and input relevant information (by, say, logging into an account) and when they contact an agent, the agent then receives all this information from the website or app: who they are, what they’re doing, and what their problem was. The platform allows your business to utilize softphones, along with a flexible monthly plan to help reduce costs while still packing the impressive features. The entire platform is also securing, running on top of Amazon’s AWS security. Its no wonder that Genesys is still considered a leader in Gartner’s latest CCaaS magic quadrant. Back in 2016, inContact announced they will be acquiring NICE, a marriage of two strong Contact Center solutions. 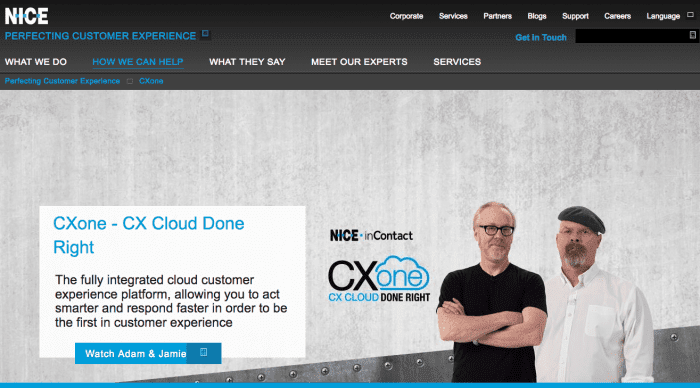 Well in October of 2017, this marriage brought us a new offering, and rebranding as NICE inContact, bringing together the capabilities of both providers to, in their own words, “better serve global enterprise and midmarket customers” with their CXone unified cloud customer experience platform. This is a pretty interesting move because of how it shakes up the Contact Center market, and the options available. 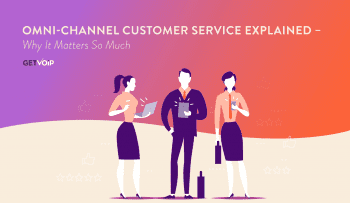 CXone is particularly interesting because of how it is one of the first platforms to bring together omnichannel routing, analytics, workforce optimization, automation and artificial intelligence, all built on top of an open cloud foundation. If one thing is for sure, a main UC trend we’ve discovered is the consolidation of solutions. With Virtual Office Editions, 8×8 went ahead and released a new solution that combines everything your business would need into one package, with cloud telephony, collaboration tools, web conferencing, contact center solutions and even data analytics. With all the tools your business needs to communicate and collaborate effectively under one roof, less time is spent flipping between windows and looking for the right app. Offered in three different tiers, X8, X5, and X2, 8×8 delivers a completely integrated solution to help boost productivity and overall efficiency. Cisco’s biggest addition to their Spark platform, the Sparkboard, allows for really intense visual collaboration, with 4k video conferencing, incredibly simple phone pairing, and the cloud power of storing everything persistently, with intense encryption to secure all your communications, even down to each individual “brush” stroke on the board. Even if you don’t have a Spark board, Cisco introduced the white boarding capability directly into the Spark app for anyone to take advantage of the visual collaboration made possible. This addition was an interesting move to see in the team messaging and unified communication space, differentiating Spark from Slack and its alternatives. Without a doubt, if there’s one thing that Amazon is known for, it’s the incredibly simple and frictionless customer experience the provide. 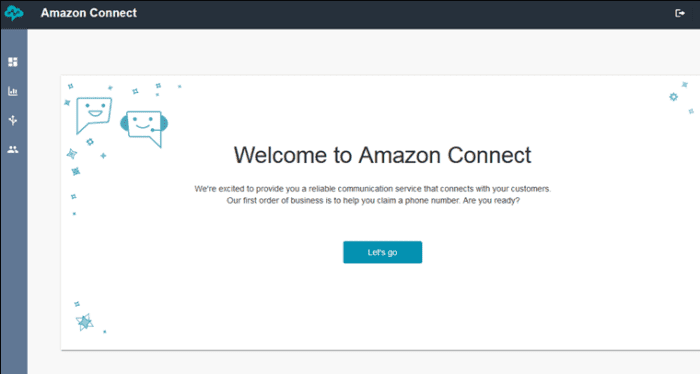 Recognizing that they have such an incredible system, Amazon went ahead and launched their own Contact Center offering known as Amazon Connect. Billed as a “pay-as-you-go” solution, Amazon Connect offers some really impressive features at a unique pricing structure. But beyond just the pricing, the real beauty lies in the simplicity behind the entire solution. Amazon essentially built their own in-house contact center app, and decided to package it and bring it to market. Users gain the ability to customize their entire contact center with a simple drag and drop interface, pricing makes it accessible for even the smallest teams, and backed by the Amazon name you know support will be golden. 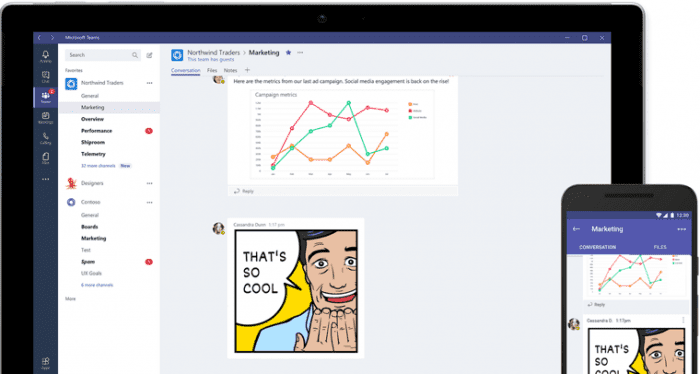 Microsoft made waves earlier this year when they launched their own Slack competitor, Microsoft Teams. We took a close look at Teams earlier last year when the beta was available, and were impressed by what we saw. Microsoft is really leveraging its already wide 365 user-base by including Teams as a free add-on. 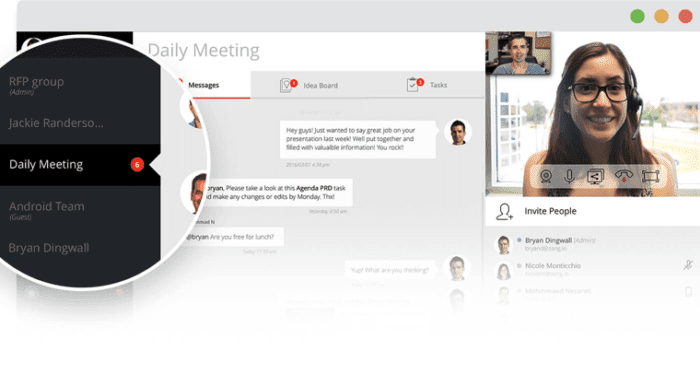 The solution adds in 1:1 chat, group chats, a meetings calendar and file sharing right inside the existing 365 platforms, and of course integrates directly with all the other Office 365 apps. There’s also an activity feed to see who’s working on what, chat bots built right in, threaded messages, video chat, and the same great security from other Office 365 apps. No wonder Microsoft is looking to replace Skype For Business with Teams. So, all-in-all, 2017 was a pretty impressive year for business communications. We have seen not only entirely new solutions and tools, but also entirely new paradigms introduced into the market. Whether your business is searching for a new unified communications solution, is looking to solve the problem of missing context in customer service, or completely revolutionize the customer experience with new methods of collaboration, the technology will only continue to get better and better.